Our volunteers come from all walks of life. From retired people who “want to give something back” to young people looking to widen their experience and aid their first step into work. Some come to us individually, others as part of an existing group or as a corporate volunteering task with their employers. 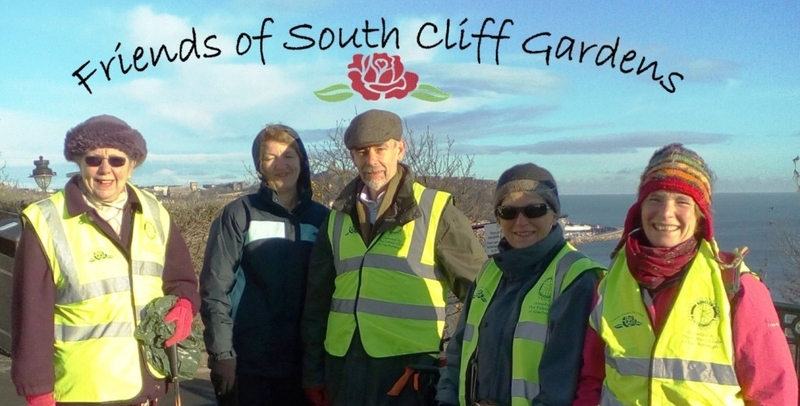 What all our volunteers have in common is the wish to give their time, energy and skills to help South Cliff Gardens achieve its purposes of conserving the special qualities of the Gardens and helping visitors to enjoy and experience all the Garden has to offer. To join in simply attend one of our events and you will be made most welcome. Volunteers in Parks takes place every Wednesday weather permitting meeting behind the Rose Garden at the Gardeners depot at 10 a.m. We usually work until 12 noon. Garden tools are supplied, but please bring your own gloves. Litterpicks take place on the third Saturday of every month 10am till 12noon. Please meet at the Rose Garden.